Move in ready! Immaculately kept home with unique style, on a landscaped corner lot in the Mid Valley. 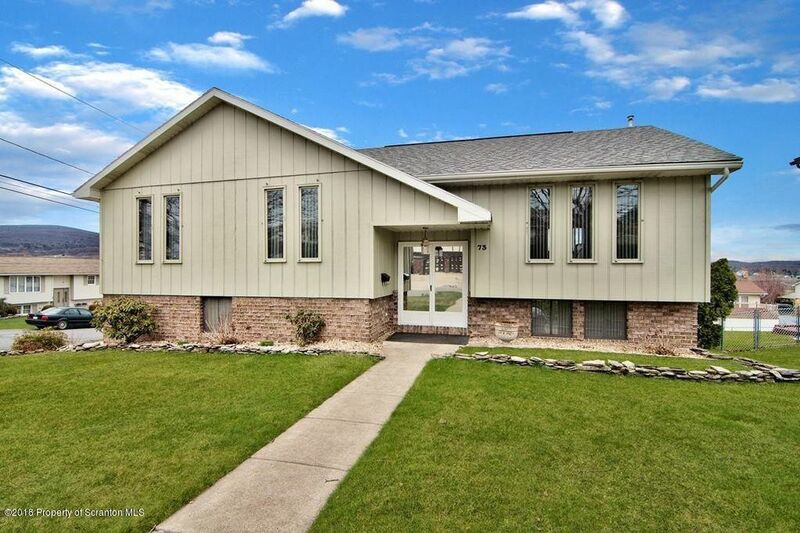 Home boasts granite counter tops, cathedral ceilings, great size bedrooms, updated bathrooms, lower level family room with gas fireplace & wet bar. Lower level patio walk out to secluded back yard. Newer roof, new garage doors, tank-less water heater, central air. Directions: From North Valley Ave in Olyphant turn on to Sanko Drive. Home is on the corner of Sanko Drive and West Palm St. Home will be on the left.